Welcome to the Blue Stencil! The attention span on the e-world is short enough to make healthy decisions (like: buying your book) but not long enough to read longish texts. Nothing can defeat the experience of holding your work in your hand and the warm scent of pages. From a single book to a dozen to hundreds or thousands, we offer high quality and cost effective printing solutions. The price for printing a book depends on the type of the book and the no of pages. An 8.5 height into 5.5 width book, single spaced Times New Roman, 12 point, 60 pages book would cost you around 40 Indian rupees. We also assist in formatting a book, and placing the book on kindle, flipkart.com, and amazon.in. 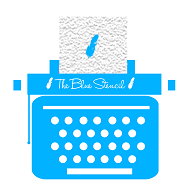 Proudly powered by WordPress | Theme: bluestencil by Shachi A.